In December 2014 I decided to completely change the look of the blog (if you’re at all familiar with twimii, you’ll know I do this every so often – did the same with abitmoreveg, whose look I’ve now slapped on twimii). Anyway I moved from joomla to wordpress that time and wanted to do it very quickly which is why I dumped all the recipes into pdfs. Also, I was worried the recipes were all wrong. They’re not all wrong. Just most of them. Here are all the recipe list of the recipes from the old site in pdf form. I simply hit the PDF button to make these files so they are not the prettiest but then neither are the recipes. I discovered a couple of years ago, when trying to remake Baby Guinness Mousse that I hadn’t recorded them all correctly. I’m revisiting them slowly but surely so there should eventually be a complete list here. 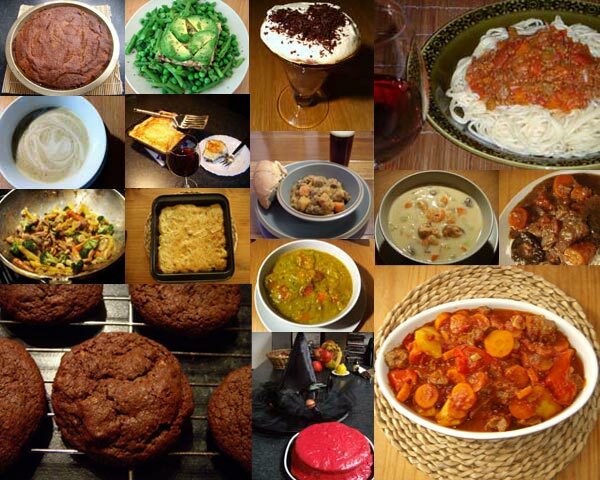 Some I can recreate exactly because I gave up gluten in early 2015 – but that just means I’ll be making a gluten-free version. No harm? Beef & Pepper Stew I reposted this recipe here – it’s correct. Apple Banana Cake Reposted as Guilt-Free Cinnamon Apple Cake. And if you like that you’ll love this Strawberry Grape Cake. Savoury Cake – Updated the Savoury Cake to be made with single cream rather than soya milk but use whatever suits you. Try this one it really is very good. Quick & Easy Lamb Curry – Here is the correct recipe for that Balti curry sauce, you just brown the lamb pieces, make the curry sauce, add back in the lamb and cook for a few more mintues. Sin a bhfuil. Chocolate Goodness Cake – Corrected and improved Chocolate Goodness Cake. Spicy Tomato Soup – Forget that one try this Spicy Tomato and Roasted Red Pepper Soup. It’s just as quick and easy to make and tastes great. Potato Courgette & Onion Soup This is the correct version of Potato, Courgette and Onion Soup. I have no excuse as to why this wasn’t the recipe I originally posted other than I used it to think of this as a form of mashed potato rather than soup. Fruit ‘n’ Nutty Fish Curry – The old recipe is correct – it happens. Just use a can of sweetened coconut milk (if it’s not marked unsweetened it’s sweetened). Here’s a slightly spicer version. Hope you like it. Lemon Meringue Pie – Reposted the lemon meringue pie with a gluten-free pie crust. Green Mackerel Soup – I kept this recipe on twimii just because I thought it was funny. I’ve never made it again and never seen cockscomb mint (Kinh Giới) since – so I haven’t updated this one but it did inspire me to make this Fishy Looking Green Soup – if you like tart, mustardy, herby, fishy flavours you’ll like this. Give it a go. Easy Pea Mint Soup – that recipe there is so wrong I can’t even think how it happened. It’s just wrong. Is it any good? I don’t know I’m pretty sure I haven’t made it. So if you’d like to try the correct Easy Peasy Pea Mint Soup, here it is. Hope you like it. Vegetarian Shepherd’s Pie – and here is a vegetarian shepherd’s pie made with instant vegetarian gravy – easy and yumm! The Cheat’s Seafood Chowder – the cheat’s version uses tinned fish and shop-bought cooked seafood, this simple seafood chowder uses frozen fish and frozen cooked seafood instead. Simple, made in 30 minutes, nutritious and tasty. And if you’re afraid to cook fresh/live seafood – like I am – this is a good solution. Baby Guinness Mousse – and here is the correct recipe for Baby Guinness Mousse. Very Berry Crumble – try this Strawberry & Raspberry Sweetly Spiced Crumble instead – it’s gluten-free and gorgeous. Split Pea & Salami Soup or try this Split Pea & Chorizo Soup recipe – it’s gluten-free. I’ve grown used to the photos – so they’re staying. Roasted Garlic & Butternut Squash Soup – I haven’t made this since and I doubt I will make it again. It was nice enough but I don’t use much soya milk anymore (some people say it’s a goitrogen) but here is another Butternut Squash Soup recipe that you might like. It uses coconut milk and a blend of spices. Baked Avocado with Tinned Mackerel or maybe try avocado baked with egg, a good pinch of garam masala and salt. Waldorf Salad Reposted a corrected Waldorf Salad recipe – ignore any cabbage, just read the recipe, it’s correct. Homemade Mayonnaise – this is definitely correct because it’s from the Delia Smith recipe book. And here is another correct mayonnaise recipe that you can make in the food processor. Vegetarian Lasagne Here is a new and improved vegetarian lasagne recipe which has a gluten-free option. Tinned Mackerel & Tomato Rice – Reposted here with a few changes. This is really simple, healthy and tasty – give it a go. Banana Pear Pie OK so the original recipe isn’t quite right and I’m not sure how to fix it. So this Banana Pear Pie is a little different – just a little bit though. Oh and there’s a bonus vegan dessert recipe there too – with chocolate! Chocolate Gingernuts – the old recipe is correct and here’s a new gluten-free chocolate gingernuts recipe that is every bit as good. Chocolate Gingerbread Mousse Cake The original recipe is correct but I updated it to be slightly, ever so slightly, healthier and I included the gluten-free biscuit base I use in the Bitter Toffee Pecan Pie as a gluten-free alternative. This is one very rich dessert but if you love the taste of creamy dark chocolate gently spiced with ginger and cinnamon then you should love this – here’s the new recipe. Mackerel Fillets Baked in Cider – changed ever so slightly and reposted. Surprisingly good. Lasagne The quantities of the ingredients for the Béchamel sauce in the Cheesy Lasagne recipe aren’t correct. Here is the correct recipe for the Lasagne – it’s slightly different; there is no Parmesan, some Bechamel sauce is mixed in with the meat filling, and there are also instructions for making it gluten-free. I love it – hope you do too. Spaghetti Bolognese – this recipe is correct. It’s not a traditional Italian recipe. More Spag Bol then Spaghetti alla Bolognese. It’s good but if I’m going to make a pasta dish now it’s likely to be one of the lasagnes – which you can make ahead, freeze and bake whenever. Colourful Coleslaw this is actually correct if you use the homemade mayonnaise recipe for the dressing. But if you’d like a really colourful salad try this Rainbow Slaw. Lamb Stewed in Leftover Wine – correct and reposted here. Banana Apple Loaf – or maybe just make this sweet and tasty Banana and Chocolate Loaf instead. Chinese 5 Spiced Pork Stir-fry – correct and reposted. Licorice Cake with Raspberry Ganache – Reposted the old recipe for Bloody Mess Cake – not corrected just reposted. Someone somewhere might find it useful. Or at least it should make them feel better about their kitchen skills. And here is a new (correct) gluten-free Liquorice Cake with Raspberry Ganache. Baked Buttered Apricots – Reposted this here – and made a gluten-free version – it’s not as good but it’s good enough. If you’re after something gluten-free with apricots you could try these Spicy Baked Apricots. Not Traditional Irish Stew – here is a recipe for a traditional Irish stew. And here is a recipe for Levantine Lamb Stew – a variation of a recipe from The Palestine Table by Reem Kassis. As for the Not traditional Irish stew – that’s lamb stewed in ale which is filled with gluten so I’m afraid I’m not updating that one. The Levantine lamb stew though is really good, simple to make and a healthier dish all round. Iced Melon Soup with Melon & Mint Sorbet Reposted this recipe – it’s correct. Previous Post What’s wrong with being simple?